Grease and moving components go together like rama lama lama ka dinga da dinga dong. Grease helps prevent corrosion and friction between parts so your bike's components will last a long time. 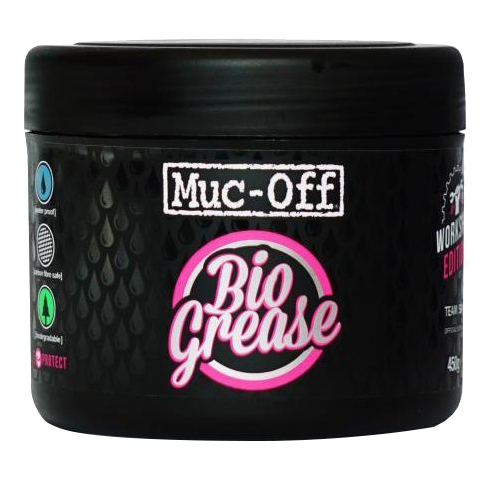 The Bio Grease by Muc-Off is a fully biodegradable grease designed specifically to reduce friction between moving parts. It is water resistant so it won't wash off by accident and features an ultra-slippery formula. So when you're building a new bike or just replacing the bearings, make sure you use the best grease.